Scout is a boutique agency of hand picked fashion professionals who move fast. Their reports are fresh, concise and relevant. They combine global market insight with creativity to bring you results-based, proven forecasts. Everything you need for business success, from specific colours to trends, merchandising and key items is at your fingertips. You'll see instantly what will work for you and why. They do the legwork for you, so that you can create and innovate. 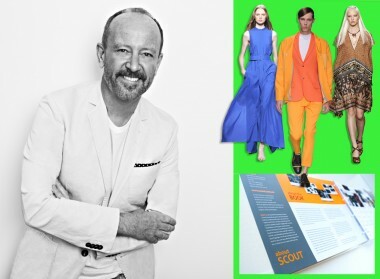 With over 20 years experience as a design director and fashion forecaster, Scout Director Tony Bannister has revitalized some of Australia's most iconic fashion brands, working across design, merchandising, marketing and strategy.